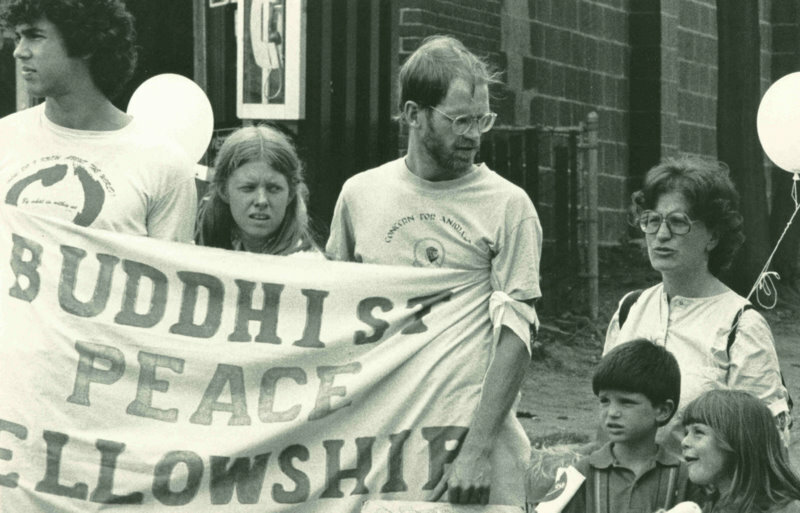 Members of the Buddhist Peace Fellowship preparing to march along with the military parade for Recognition Weekend, an event organized at UMass in mid-July, 1986. The event was designed as a vehicle to honor veterans. It drew a large number of people interested in balancing the military display with a message of peace. Martin, John H., “Buddhist Peace Fellowship members,” Digital Amherst, accessed April 24, 2019, http://digitalamherst.org/items/show/839.